TiO2 thin film photocatalysts which can work under visible light irradiation were successfully developed in a single process by applying a RF magnetron sputtering (RF-MS) deposition method. The TiO2 thin films prepared at higher than 773 K showed efficient absorption of visible light, while the TiO2 films prepared at around 473 K were highly transparent. This clearly means that the optical properties of these films, which absorb not only UV but also visible light, can be controlled by the preparation conditions using the RF-MS deposition method. These visible light-responsive films were found to exhibit effective photocatalytic reactivity at room temperature for the decomposition of NO and oxidation of acetalydehyde with O2. Various characterization studies showed that orderly aligned columnar TiO2 crystals of ca. 100 nm could be observed only for the visible light-responsive TiO2 thin films. 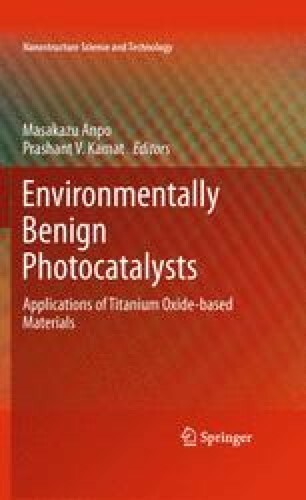 Such unique structural factors are considered to be essential in modifying the electronic properties of the TiO2 semiconductors, enabling the efficient absorption of visible light. Moreover, crystalline TiO2 thin films could be prepared on thermally unstable polycarbonate substrates at 353 K by using this RF-MS deposition method.